Matt Edwards Takes On Zip World Titan in this World First Stunt! 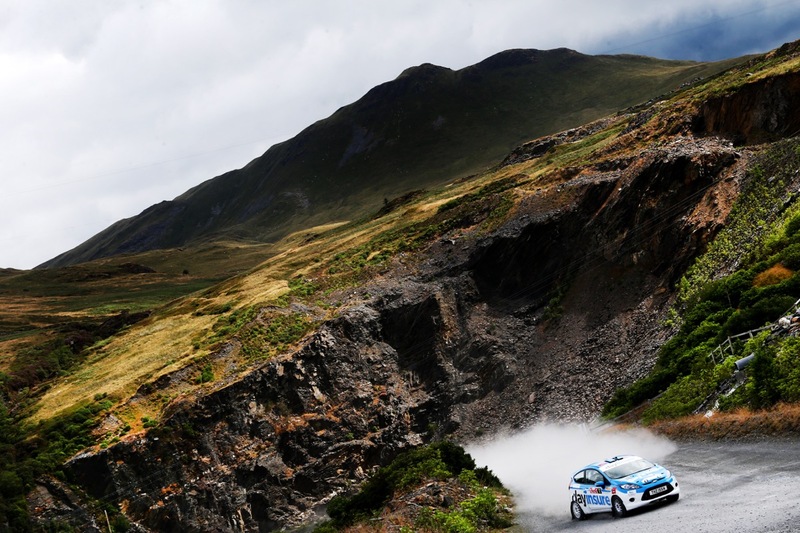 What do you do when you have Europe’s largest zip zone, and a Wales Rally GB car all in one place? Send the car down the zip line of course. Cue #Skydriver. 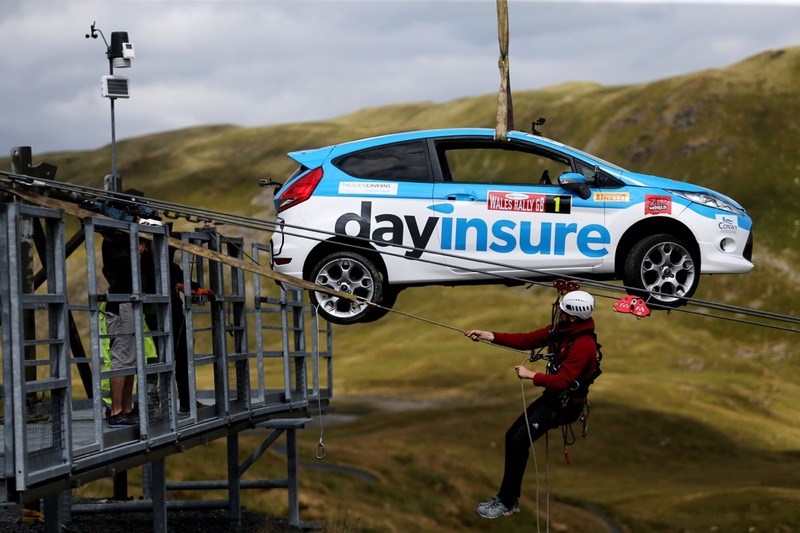 We teamed with Llechwedd Slate Caverns and Dayinsure Wales Rally GB at Zip World Titan in Blaenau Ffestiniog, to pull off a world first stunt. 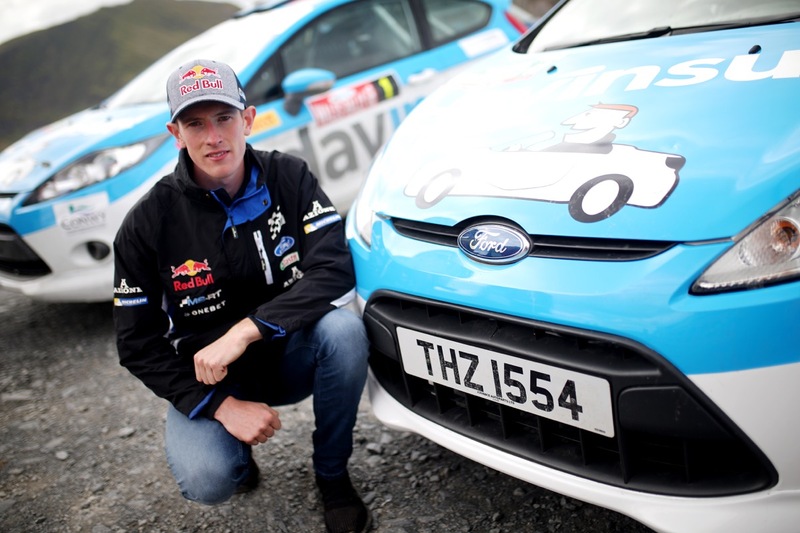 Rally driver Matt Edwards was the frontman of this epic stunt, spectated by last year’s Dayinsure Wales Rally GB winner Elfyn Evans. 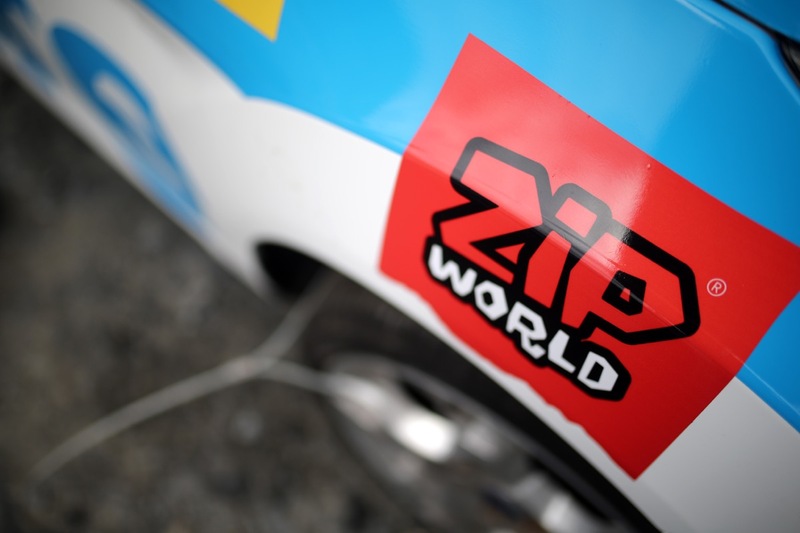 The rally car sped down Zip World Titan's Alpha line, the first and longest of three zip lines on the Titan experience, which you can book here. 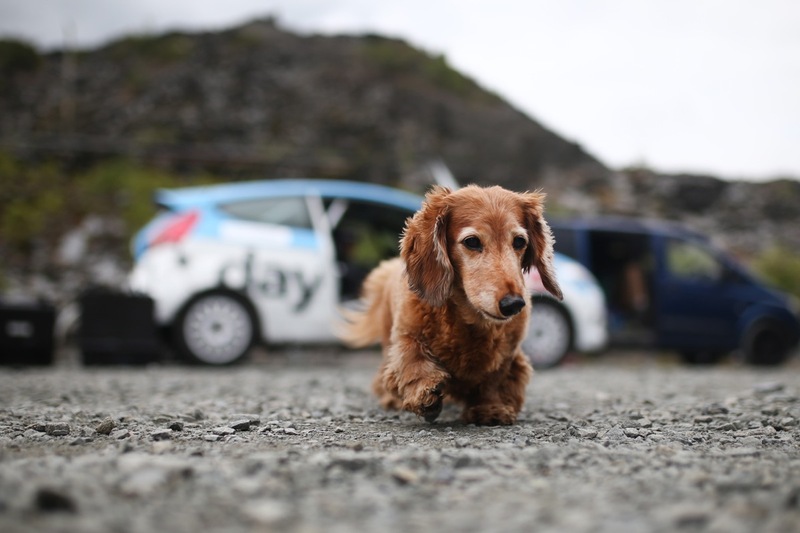 The teams originally came together to promote the Dayinsure Wales Rally GB by sending a few of their top drivers down the line, however, one idea led to another, and the sky driver concept was born. 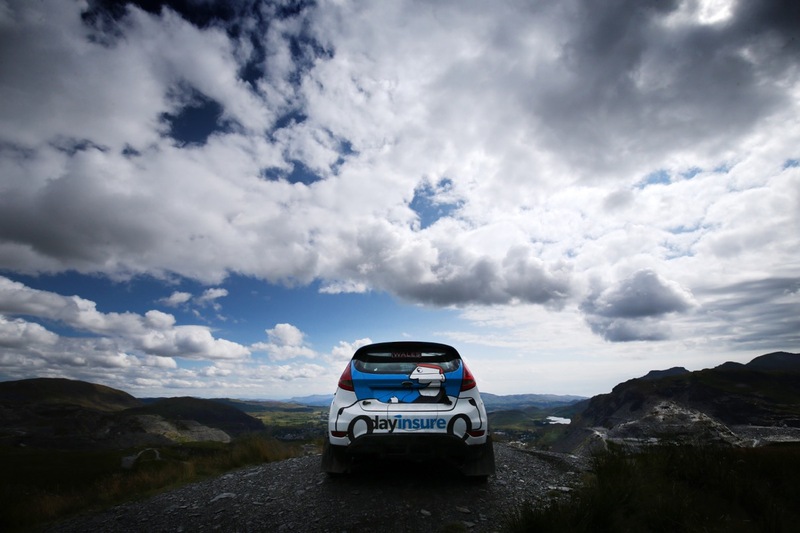 The Wales Rally GB first started in 1932 and has taken place annually ever since (with the exception of a few here and there!). 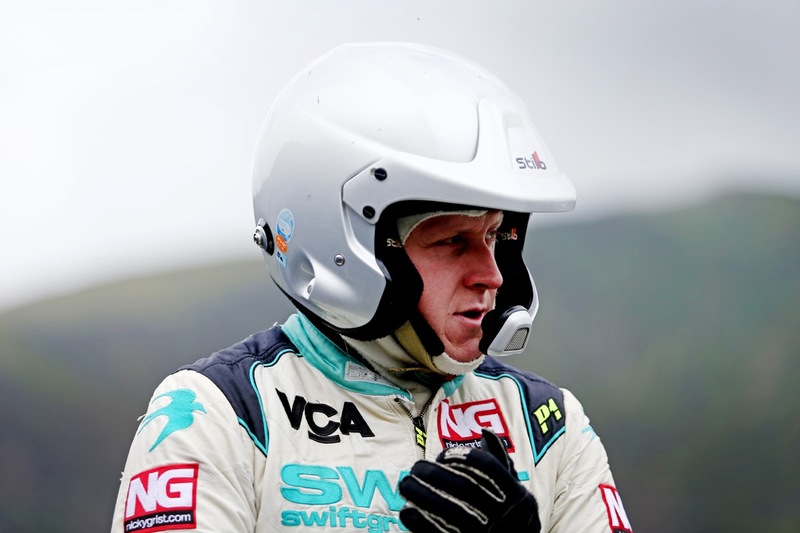 The Dayinsure Wales Rally GB is this year’s UK round of the WRC (World Rally Championship), pretty exciting stuff, and happening right on our doorstep. 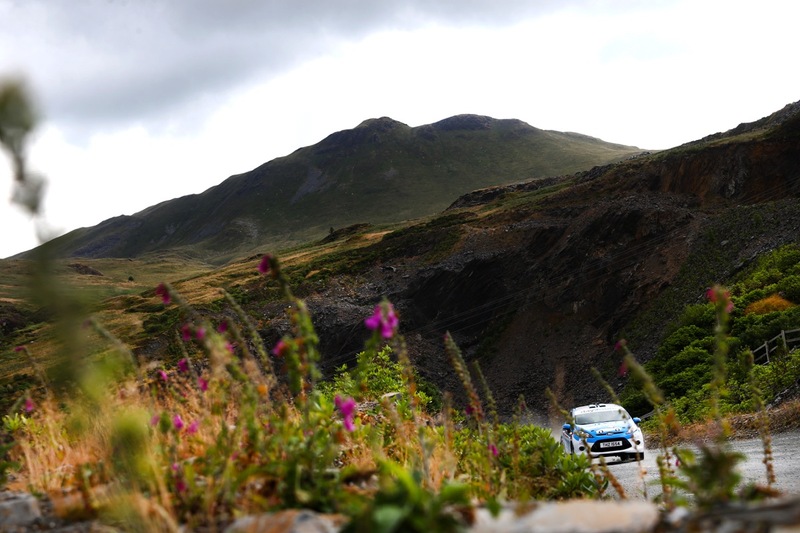 The rally route will be covering one of the many Llechwedd Slate Caverns tracks on The Slate Mountain, providing a beautiful backdrop to this epic event. The amazing team over at Llechwedd host fantastic deep mine tours, sharing with you all of the historical goodness Blaenau Ffestiniog has to offer. You can even grab some VIP tour tickets over on their website! 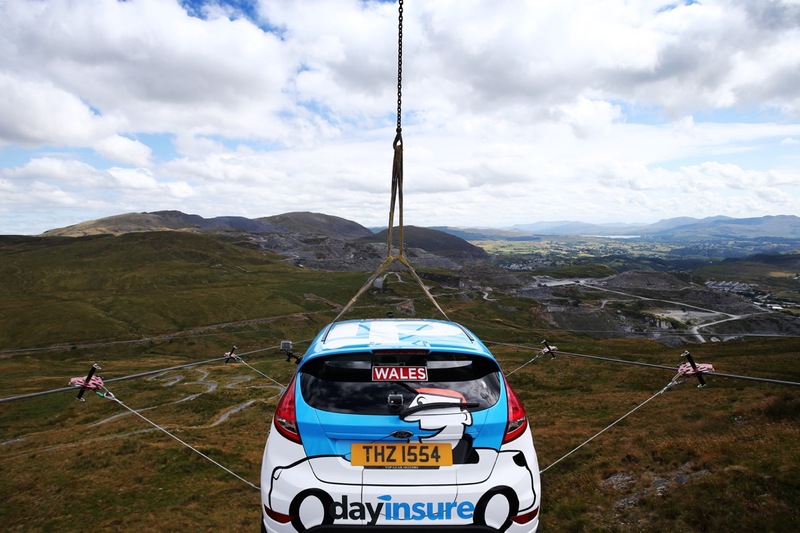 The stunt comes as a bid to not only promote the rally, but to also further secure North Wales as the ‘Adventure Capital of Europe’. 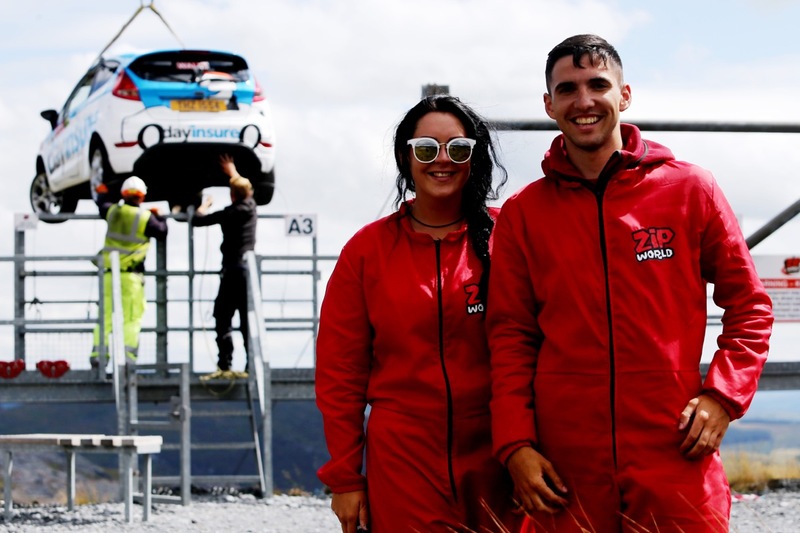 With Zip World now hosting three adventure sites along the outstanding Snowdonia landscape, it comes as no surprise that the area attracts all sorts of cool tricks and stunts. 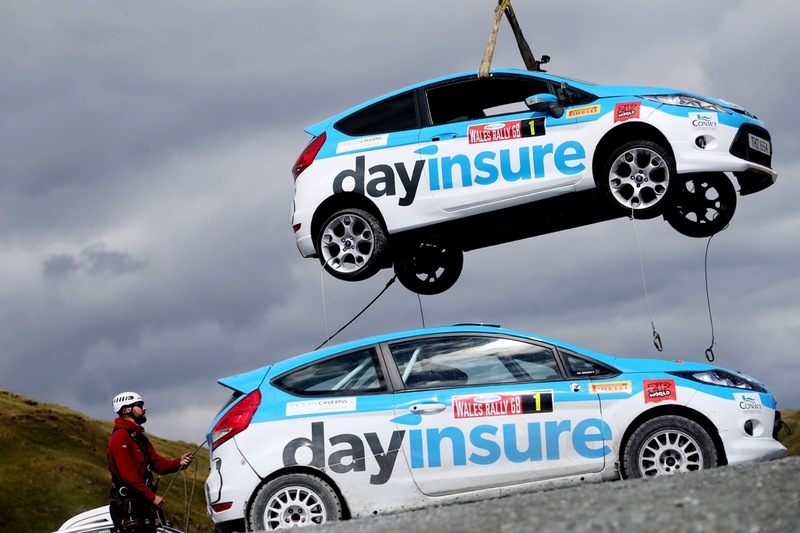 Dayinsure see themselves as the Wales Rally GB's sponsor for the third year running now. Specialising in short term insurance for almost any vehicle, they certainly are a fitting contributor to this stunt, although we're not too sure how willing they'd be covering this particular vehicle! 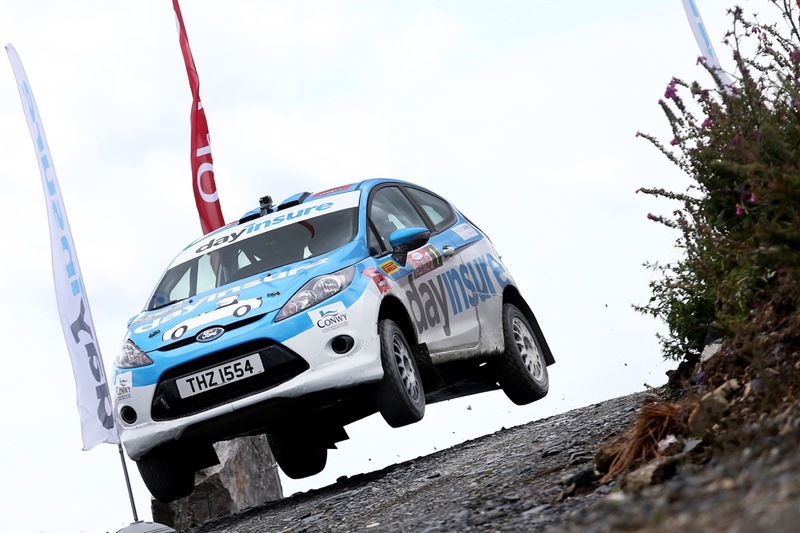 The best of luck to all of the WRC competitors this year! 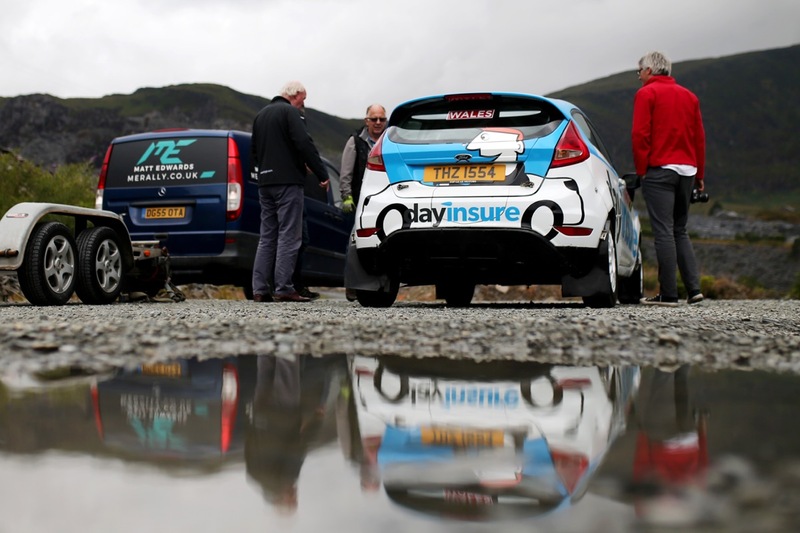 The Rally takes place from the 26th to the 29th of October, however advance tickets to the speed tests at The Slate Mountain are now on sale!